Have you been following my adventures in using coupons? A little over a year ago, I decided that I was sick and tired of paying $100-$150 a week at the grocery store. A friend of mine showed me the ins and outs of how to use coupons to save tons of money. I dove right in and started purchasing the Sunday paper and created my first coupon binder. Everything was going great until life got busy and I got behind on clipping all of those coupons. It became too overwhelming of a task to get caught back up. So sadly I just gave up and decided that I was going to "take a break" from it for a while. Well, I finally decided to jump back in to it......with one minor major change. I am doing things totally different this time around. I am no longer clipping out each individual coupon!!! When the Sunday Paper arrives with my coupon insert, I pull out the inserts and write the date on them and slide it in to a clear page protector in my binder. 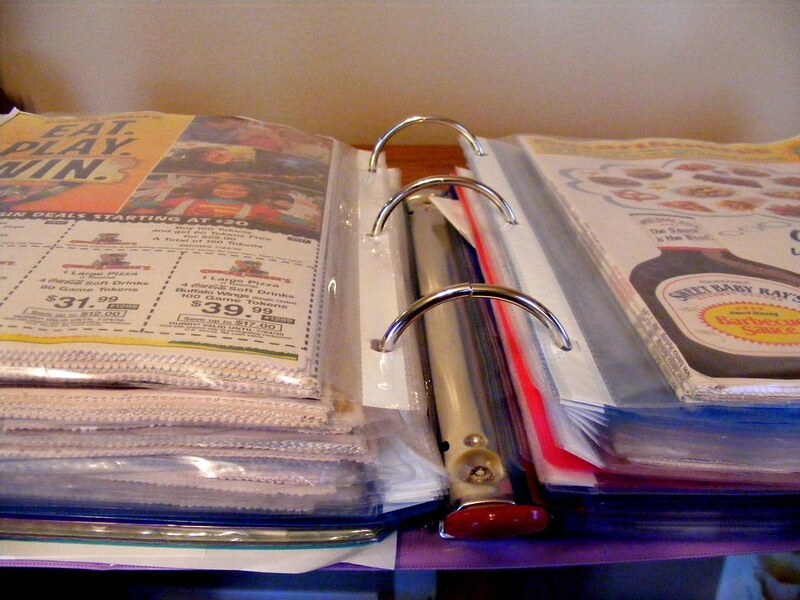 I have my binder divided into 3 sections: Red Plum, Smart Source, and Proctor and Gamble. Now, every Sunday night I sit down at the computer with my "new" binder and start going to all of my favorite couponing sites. These awesome Mamas do all of the work for me..thus saving me time and sanity. You're saying "how do they do all the work for you?" 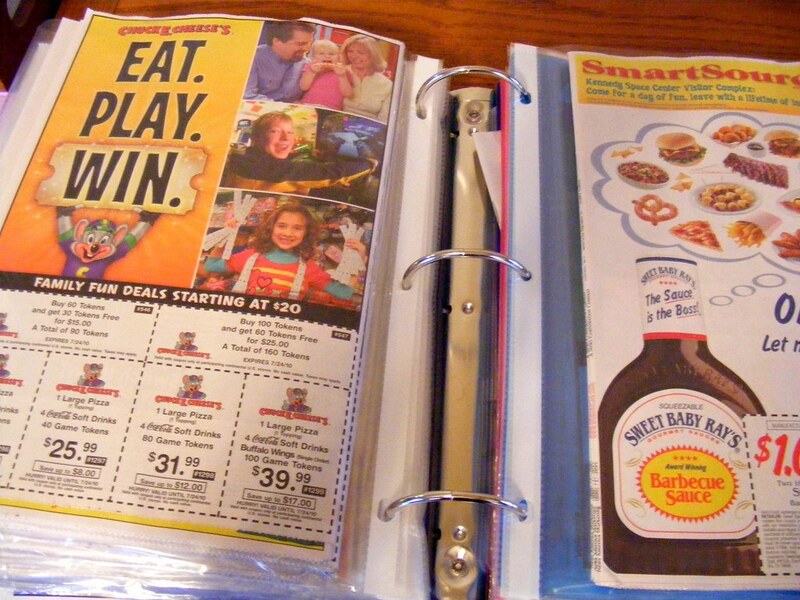 What it's telling you is that you need to find the Smart Source insert from 5/16/10 and find the Oscar Mayer Coupon for $1.00 off when you buy 2. The fact that Oscar Mayer is on sale for $1.00...combined with this coupon...makes them $.50/piece. I am loving finally getting my pantry restocked full of goodies for a fraction of the price that I would be paying. 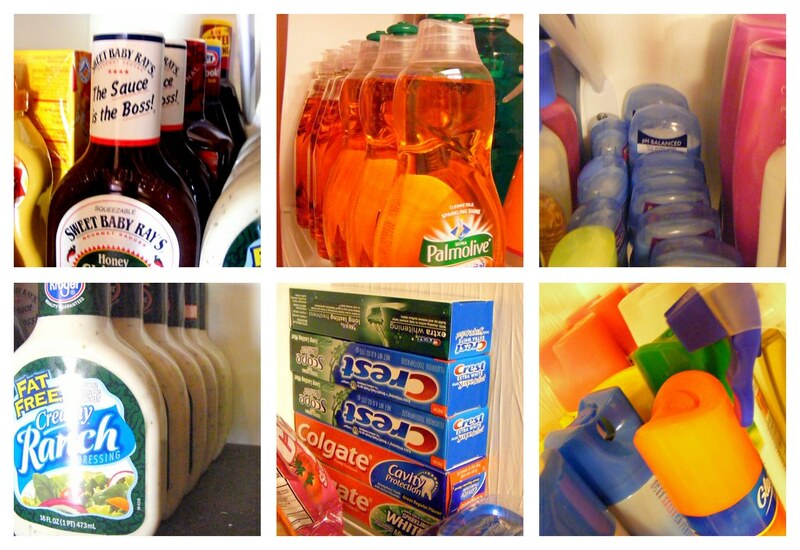 Check out some of my stockpiled goodies.